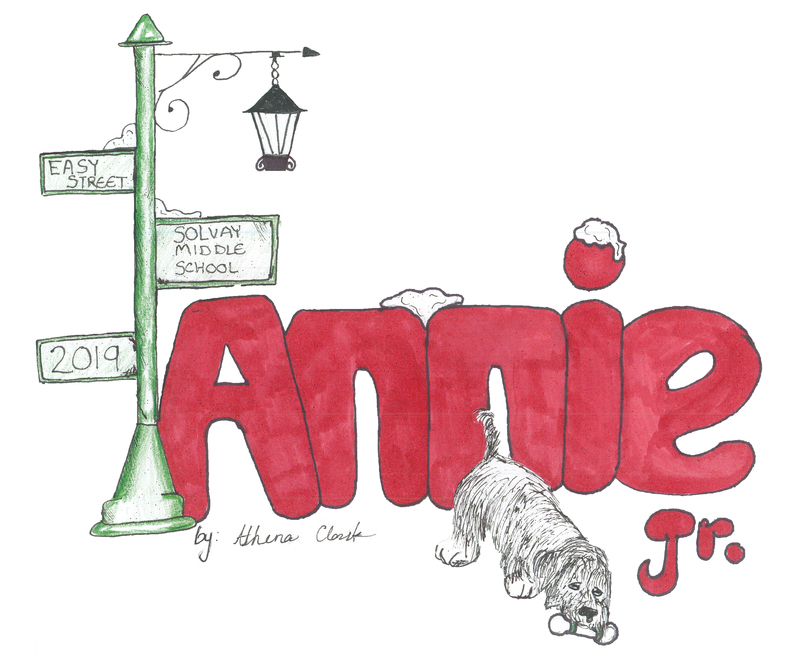 This year's cast and crew of Annie Jr will be performing on April 29th and 30th. Our cast and crew of over 75 fifth through 8th graders has been hard at work for the past several months and are happy to welcome our littlest cast members to join them on stage for PreKs second appearance in the middle school production. The 8th graders have selected the American Cancer Society for our charitable donation as the production staff continues to encourage the cast and crew to find ways to give back to the amazing community that has always shown them such tremendous support. We also would like to thank the PTO and Music Boosters for their support of the cast and crew.